In the middle of a whole lot of films possessing dazzling production values, I honed in on works that worked hand-in-hand with elements that I found complementary, ie: cinematography, editing, sound design, and the like. So it’s no surprise that Diana Rice and the team of Nathan Crowley and Gary Fettis’ work on COLUMBUS and DUNKIRK found their way onto my list. I was also quite taken at Paul Austerberry’s ability on THE SHAPE OF WATER to marry production and set design to imagine a claustrophobic, almost dank interior environment — for most of the film, I forgot we were in 1950s Baltimore, MD. That brings me to THE POST and mother!, two works by directors whose visual palette and predilections couldn’t be any more different. I couldn’t quite put a finger on how reminiscent Steven Spielberg’s comparatively souped-up reimagining of THE FRONT PAGE and, in particularly, SPOTLIGHT was to more staid historical works until I re-watched Ron Howard’s APOLLO 13. The 1970s! THAT’S it! 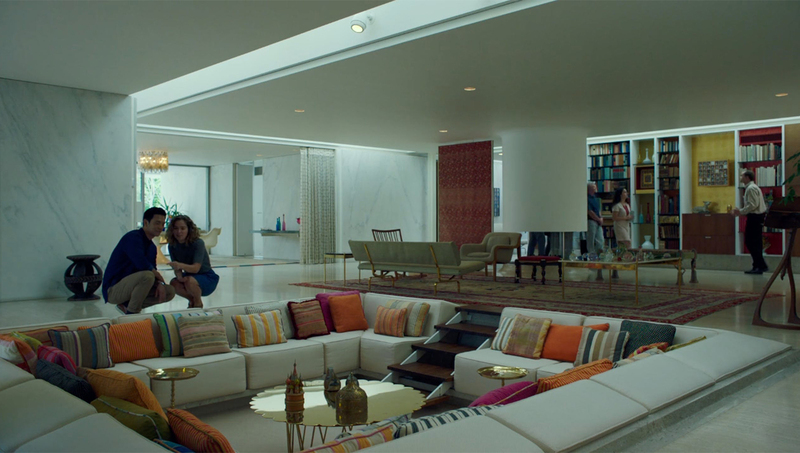 Rick Carter’s production design work stands up well with these works, and even allowed for long follow shots that made the “look” of venues as the Washington Post newsroom, publisher Katherine Graham’s home, and editor Ben Bradlee’s humble digs warm and inviting. And as for mother!, I likewise appreciated how, like THE SHAPE OF WATER, Philip Messina was able to do wonders with closed-in, claustrophobic spaces. The ways in which these spaces were altered and violated in director Aronofsky’s latest opus is nothing short of amazing.